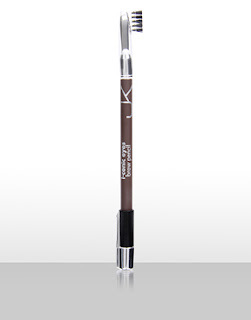 The new Jemma Kidd eyebrow pencil available at Asos and Space NK, it has a built in brush, tweezers and sharpener and looks like a good dark brown. Well done JK looks like you might have come up trumps with this one! @ELEna, thank for coming over, off to check out your blog now. @ debby, thanks so much will google and see if I can find it- you are a star! I think I need one as well. I lose my sharpener, tweezers, brush, pencil, etc. ALL THE TIME! And I must have them all. MUST. What an awesome product.